We are CONSHOHOCKEN MOVERS FOR OVER TEN YEARS! There are so many Movers in Pennsylvania and they differ in terms of quotes and quality of moving services. Countrywide Moving & Storage understands your need for items to be moved quickly and with utmost care. We provide quality residential moving with minimum hassle and the best support you can find to make your move as smooth as possible. 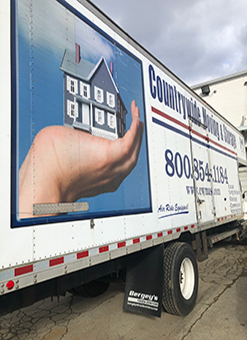 When you’re looking for the best movers that southeastern Pennsylvania has to offer, look no further than Countrywide Moving & Storage. We are based in Conshohocken and we offer moving services in eastern PA, where we have made a mark as the best movers to call when you need the job done right. Areas covered include: Ardmore, Bluebell, Collegeville, West Chester, Haverford, King Of Prussia, Berwyn, Lafayette Hill, Phoenixville, Wynnewood, and more! We at Countrywide want to make your move so easy that you can focus on other relocation details. Place your confidence in us so that you can set up your phone, internet, cable, and change-of-address ahead of time while we handle everything else. We want to be your Pennsylvania mover of choice, because we understand how stressful moving can be when you’re right in the middle of things. There are many details to look after during a move, especially if you have family and senior citizens in your life. That’s why we’re here to help you minimize the logistics and get moved without any issues. Aside from moving your items, we give you added support through a variety of extra features. First and foremost, you get superior communication with Countrywide that strives to exceed what is offered by other Pennsylvania moving companies. We understand that the last thing you want to do is to attempt to contact your local moving company and receive no response. We will always work to promptly return your phone calls and emails in order to place you at ease during the moving process. Additionally, we provide information packages that give you an overview of the area you’ll be moving to. This includes anything from inside the state, the country, or overseas. To get your moving process started, simply give us a call at 1-800-854-1184. We’ll provide you with more information and a quote. 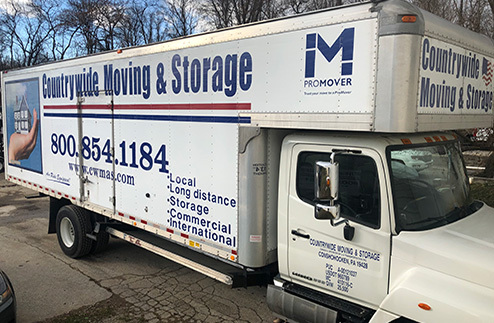 You’ll get an idea of how much it will cost for your move, so don’t delay if you’re looking for one of the best movers in Pa to handle your move!